This 3-tier, non-stick, stackable drying rack and baking pan allows you totake your jerky from the oven to the counter to dry without having to transferthe jerky. 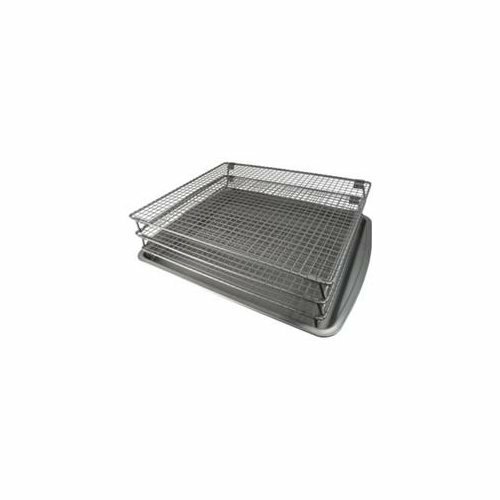 Includes 3 non-stick, stackable drying racks and baking pan Racksmeasure 16-3/4" by 14", for over 700 square-Inch of drying space. Rack legscollapse for easy storage Easy to use and dishwasher safe.